I have another mason jar project for you today, I hope you love these as much as I do. 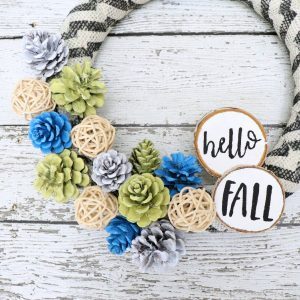 This fall mason jar wood sign was easy to make and I’m going to show you how to make this blank wood plaque your own. 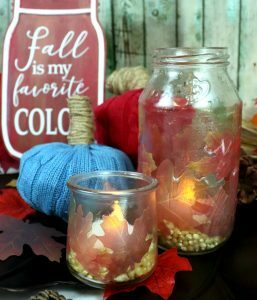 I love decorating with mason jars, they are easy and super versatile. In fact, I received a case of vintage canning jars this weekend from a friend and I can’t wait to play around with these for the season. Jars look beautiful as unadorned vases, embellished luminaries, or collected as a centerpiece. Today’s project is in homage to mason jars in the form of a wood sign. I picked up the mason jar wood shape at Walmart, it is very similar to this one. 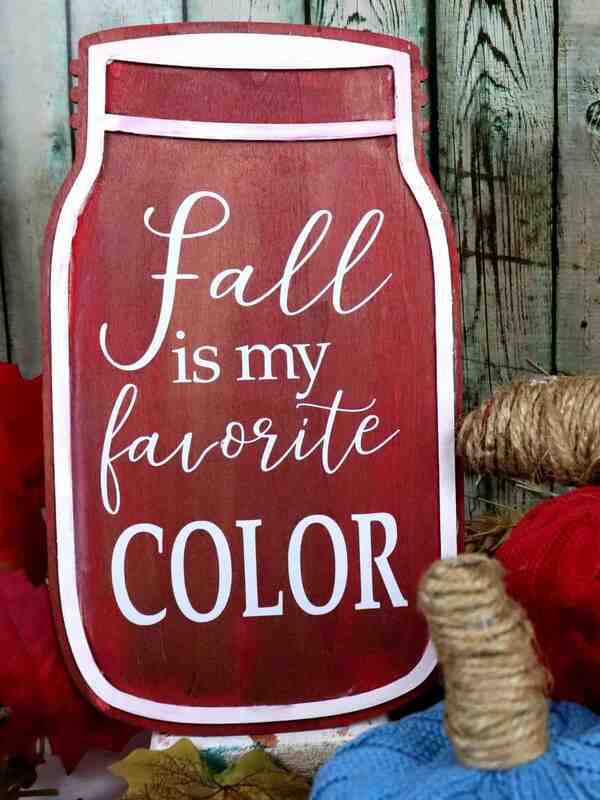 Then I painted it and added a vinyl quote, a simple process to create a beautiful fall focal point. 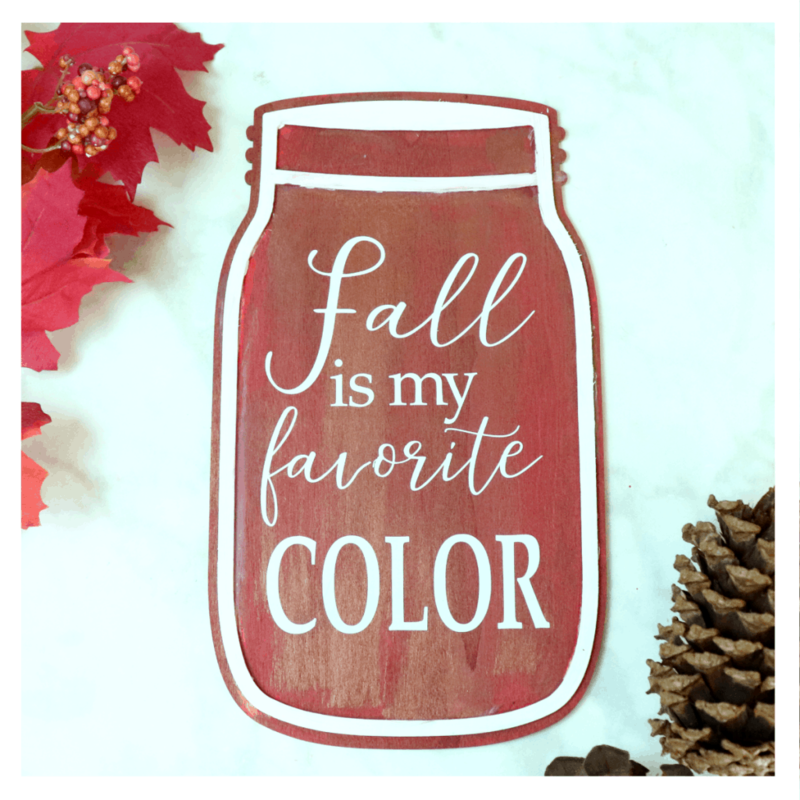 I chose “fall is my favorite color” for this sign. Can you relate? I am in awe of fall colors and feel so lucky to live in a place where I can see the full range of color on trees and flowers each year. I hope you find some color to admire this season too, it really is breathtaking. A couple tips for a flawless wood sign; Let the paint dry thoroughly before applying vinyl and save money by using contact paper to transfer cut vinyl to a sign. You can really make this wood sign your own by choosing colors that will fit your decor and embellishing it with a quote or image that you love. Watch 3 ways to stencil a wood sign for more tips and supplies perfect for making wood signs. 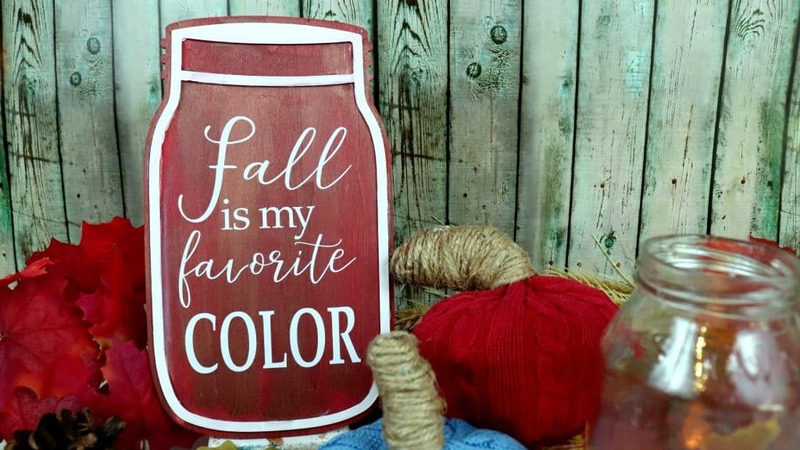 If you like this fall mason jar wood sign, be sure to pin it! 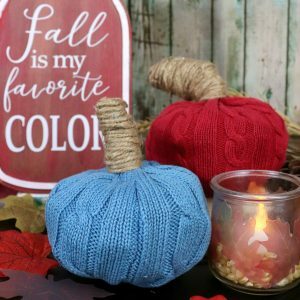 Here are a few more fall projects to inspire you this season.